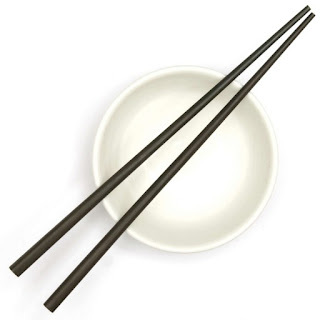 Traditional eating utensils in many Asian cultures, the use of chopsticks is evidenced today in many restaurants and homes throughout the world. Originally developed in ancient China, their popularity spread to some neighboring Asian countries, where cultural modifications evolved over time, creating the several distinct types of chopsticks seen today. Evidence of the use of chopsticks is found as far back as the ancient Shang Dynasty (1766-1122 BC). A pair of bronze chopsticks were excavated from Tin Ruin's Tomb 1005, at Houjiazhuang, dating back to approximately 1200 BC. The initial use of chopsticks developed during cooking since the food was prepared in very large pots, remaining hot for hours. To protect themselves from getting burned, people would break off twigs from nearby trees to retrieve the food. As the population grew and food resources dwindled, food was chopped into small pieces to facilitate faster cooking, thereby conserving fuel resources and negating the need for a knife. The story also goes that chopsticks became a replacement for knives, due to their underlying symbolism of violence. Violence was against the teachings of Confucius, a vegetarian, who believed that the use of knives was akin to aggressive acts linked to the slaughterhouse. There is evidence that other Asian countries such as Japan, Korea, and Vietnam began using chopsticks around 500 AD, developing various modifications based on the cultural variances in their diets. 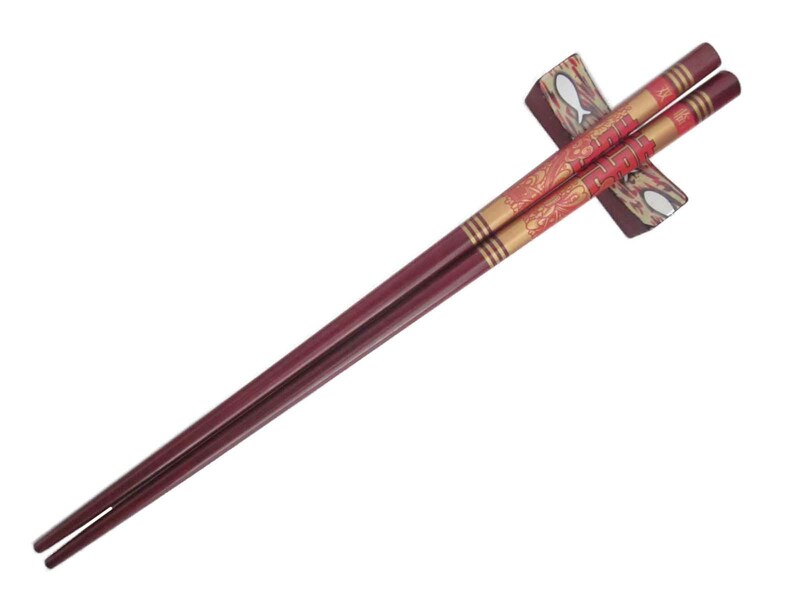 One such modification is the tapering of the chopstick ends between a blunt or pointed end. The blunt end provides more surface area for holding food and pushing rice to one's mouth, whereas the pointed ends help with picking out bones from cooked fish. As time went on, the influx of Chinese immigrants to various Southeast Asian countries increased. Those cultures historically ate with their hands, but began to utilize chopsticks to some extent. One such example is in Thailand. Contrary to popular belief, not all Thai food is typically eaten with chopsticks. Thai noodle dishes are usually eaten with chopsticks, while many other dishes are consumed with a fork and spoon. Chinese chopsticks, or kuàizi in Mandarin, are commonly made of bamboo, metal, wood, plastic, ivory, or bone. They tend to be longer, usually 9-10 inches in length. These chopsticks are square at the top and taper down into rounded ends. It is believed that many years ago the wealthy used chopsticks made of jade, gold, or bronze. The Chinese emporers utilized silver ones, as they believed the chopsticks would turn black if they came into contact with poisoned food. Today, many night markets and food stalls will have disposable wood or bamboo chopsticks since they are less expensive and more resistant to heat. In most higher-end restaurants though, nice reusable ones will be provided; however, some prefer not to use them and carry their own travel chopsticks instead. 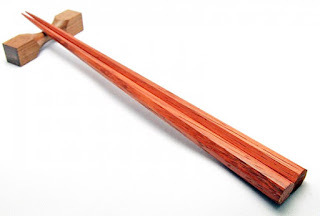 Typical Japanese chopsticks are made of lacquered wood and usually come in different sizes for men and women. Women use chopsticks that are around 7 inches in length, while men's are 8 inches. Japanese chopsticks also differ from Chinese ones in that they are rounded and come to a point where they make contact with food. Since the Japanese diet is rich in fish and noodles, they benefit from the pointed chopstick ends to help separate and pick apart the fish bones. Historically, Japan viewed chopsticks as being precious and therefore only used during religious ceremonies. The earliest versions were made from one piece of bamboo, joined at the top, rendering their appearance similar to that of tweezers. They started making them from wood, and began lacquering them around the 17th century. The Japanese were also the first ones to make disposable chopsticks, wari bashi, back in 1878. Color is often a distinguishing factor in Japanese chopsticks, with women using red for good luck, and men using black ones. Korean chopsticks are usually medium-length stainless steel, shorter than Chinese ones, but still longer than those seen in Japan. Korean chopsticks are also typically flat and have blunt ends. Originally made from silver, Korean aristocrats held the same belief as Chinese that the silver in the chopsticks would detect poisonous foods. Today, silver chopsticks still tend to be reserved for upper class people. As Korean chopsticks are heavier, they take more strength to use. Koreans typically serve many side dishes at meals, requiring a more sophisticated approach to cut and separate the morsels of food. It is common to see chopsticks used to place food on a spoon, and then eat from the spoon. Some Koreans believe, if used correctly, chopsticks utilize about 30 joints and 50 muscles in the forearm, wrist, and elbow. Typically, longer and with ends similar to the Chinese ones, the Vietnamese adopted the use of chopsticks as well. Traditionally, they were made from wood but now they are often made from plastic. 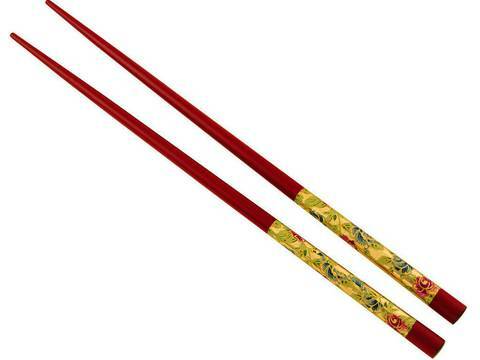 Typically, a larger pair of flat chopsticks will be used to serve rice from a pot. Known as the "four chopstick countries", these cultures helped develop the variety of chopsticks used today. Chopsticks are also more than just function now, they are becoming decorative items. 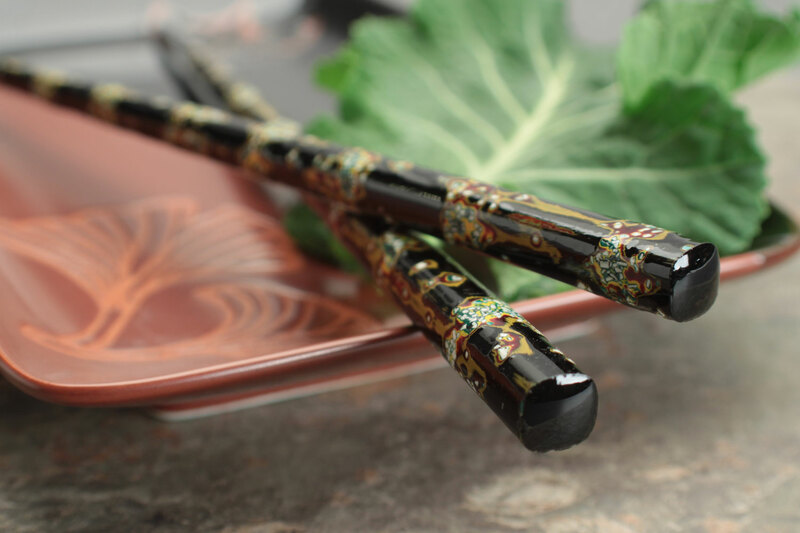 Beautifully carved and ornately decorated chopsticks are available for sale in many countries. These are not only popular souvenirs for travelers, but a way to bring a piece of the Asian culture back to other parts of the world, keeping the Asian history alive.